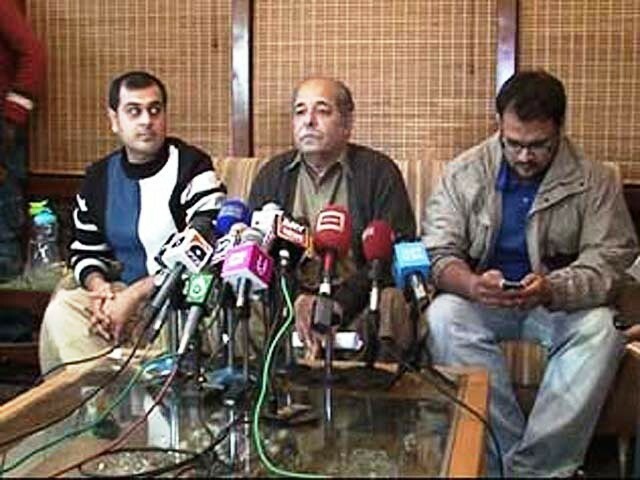 MQM vs PML-N: No one killed Tariq Mehmood! In a recent round of allegations from Pakistan Muslim League-Nawaz (PML-N) representative Chaudhry Nisar Ali Khan, the Muttahida Quami Movement (MQM) has been accused of killing one of its own former ministers. During a live press conference a few days ago, Chaudhry Nisar stated that the MQM is infamous for killing its own party members and has even carried out the killing of former Minister for Housing and Works Syed Tariq Mehmood. A few days after this statement, Mr Mehmood who happens to be alive, organised his own press conference conveying the truth to the public. The blame game is certainly not new in Pakistani politics, and this recent edition which began with PML-N leader Nawaz Sharif’s unwarranted comments regarding the MQM and Altaf Hussain is no different. Baseless accusations and outright lies like the one by Chaudhry Nisar bring out the worst in all parties. Such actions inevitably lead the opposing sides to come up with the most creative lies about the other. If a party has legitimate concerns regarding another party’s views or actions, that party is justified in stating so. But, spreading baseless accusations about another in order to score political points is neither serving the interest of the public nor that of the accusing party. The public is intelligent and the media is powerful, holding each individual accountable for their words. While we certainly do not expect a retraction from Chaudhry Nisar, we do expect him to take more responsibility for his words and refrain from spreading lies. A graduate from Pace University in political science and minor in middle eastern studies. She currently lives in Washington DC and actively follows international politics. Will privatising the existing education system work? You did express how Chaudhary accused Mutahida of killing its own, but please do shed some light on the whole scenario.especially the verbal garbage Mutahida Jiyalas vomited outside the prestigious parliament. Don’t confuse me with a PML-N sympathizer, I’m of the view that if your going to touch this topic shed light on the whole scenario as this was probably The Epic episode of 2010.
maliha khan …we want the other side of the picture aswell…. It seems that many Pakistani politicians don’t understand–and maybe they don’t need to understand–that the the world of private TV channels, YouTube, the Internet, blogs, satellite and cell phone is very different from the world of PTV and state advertisement supported newspapers. Case in point, a TV program watched one time by a number of people at one time never to be re-viewed again except in very limited capacity through video tapes is very different from from the TV clips circling around the world through computers and cell phones where people are able to rewind to specific location in videos. Also, the world of newspapers read by a few and re-used as paan-wrappers is very different from the 24×7 electronic and persistent news, which is only a Google search away. I second Mr Liaquat, Politicians should understand that they can’t fool people with cheep allegations.Either MQM PPP PMLN or anyone, they should have one thing in their minds, Newspapers now have archives available easily on internet, News can be seen any time when viewers wants on Youtube, and world is now getting smaller and smaller, It is now impossible to level false allegations, but ironically no apology from Chaudhry Nisar a respected politician and Leader of apposition of Pakistan for his allegation which turned out to be a lie.